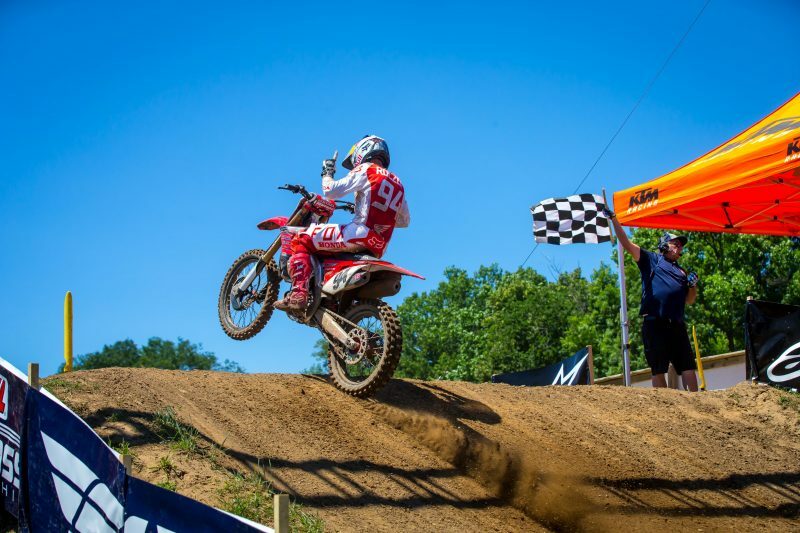 Mentor, Ohio – Ken Roczen picked up his first moto win in nearly two years Saturday afternoon when the Lucas Oil Pro Motocross Championship made its annual Independence Day Weekend trip to Red Bud MX in Buchanan, Mich. Sporting a retro set of Ezra Lusk-inspired colors, harkening back to 1998, the 24-year-old rider won the first of two 450 Class motos before a hearty Red Bud crowd. Roczen celebrating his fist moto win after a long, ongoing fight with injuries. The savvy veteran kicked off his day with a strong jump out of the starting gate and was racing near the front of the pack when a fellow competitor fell in front of him. Roczen was forced to stab the brakes, leaving him deep in the field once he was back up to speed. Despite having his early efforts hindered, the German-born rider was back to fifth by the time he completed the first lap and up to second by Lap 4. Despite a hold up out of his hands that left him deep in the field, Roczen put in an impressive charge and made his way to 2nd in only four laps. As the opening moto wound down, it looked as though Roczen would have to settle for second until a mechanical issue for the leader afforded him the top spot. Roczen, a two-time Pro Motocross premiere class champion, rode his Wiseco-sponsored No. 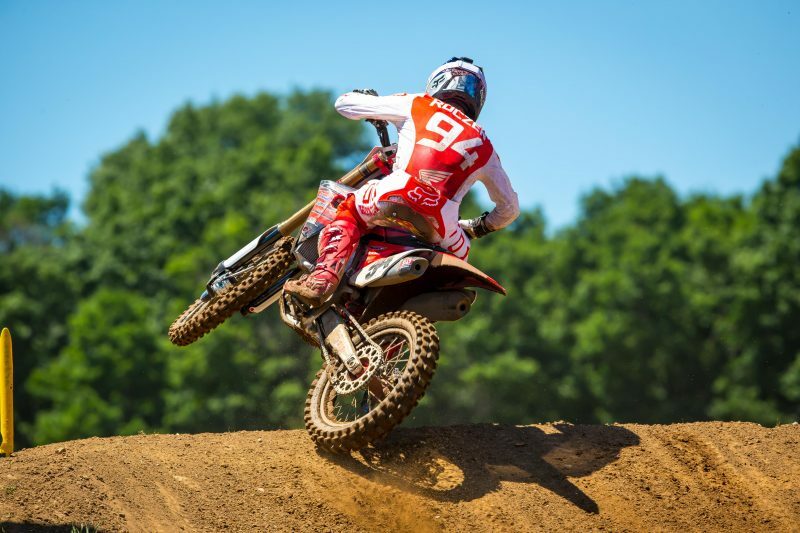 94 Honda CRF450R to a third-place finish in the second moto to come home second overall at day’s end and turn in his best showing in outdoor competition since 2016. While the celebrated German rider landed just short of picking up the overall victory, his moto win was significant after being plagued by injuries over the last two years. With seven races in the books and five left to contest, Roczen is fourth in points heading into the series’ second off-weekend of 2018. 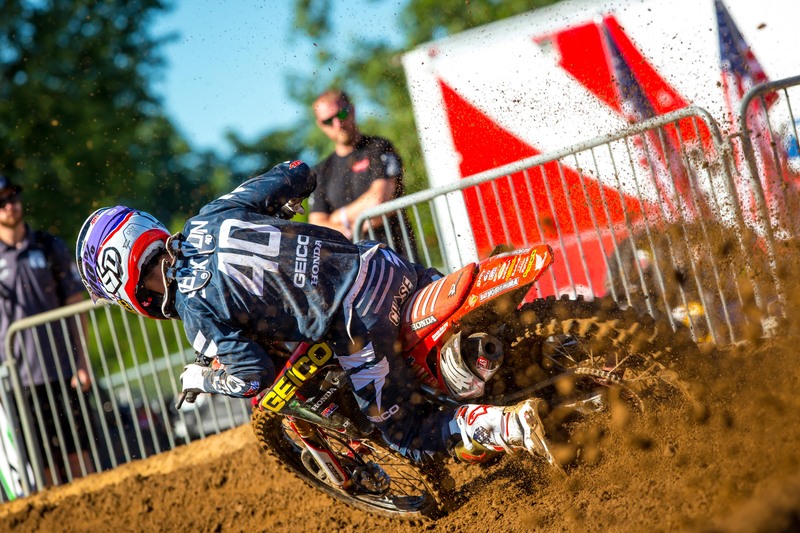 In 250 Class action, GEICO Honda’s Chase Sexton led the charge for his Wiseco-supported team, notching a solid sixth-place overall finish, courtesy of a sturdy 11-6 outing. Sexton had an eventful day including a nasty crash in his opening moto, but he rallied to secure an impressive come-from-behind 11th-place effort. He backed it up with a gritty sixth-place result in the second moto to salvage a respectable finish at Round 7. Chase Sexton is motivated to get his Wiseco-backed GEICO Honda on top of the box. 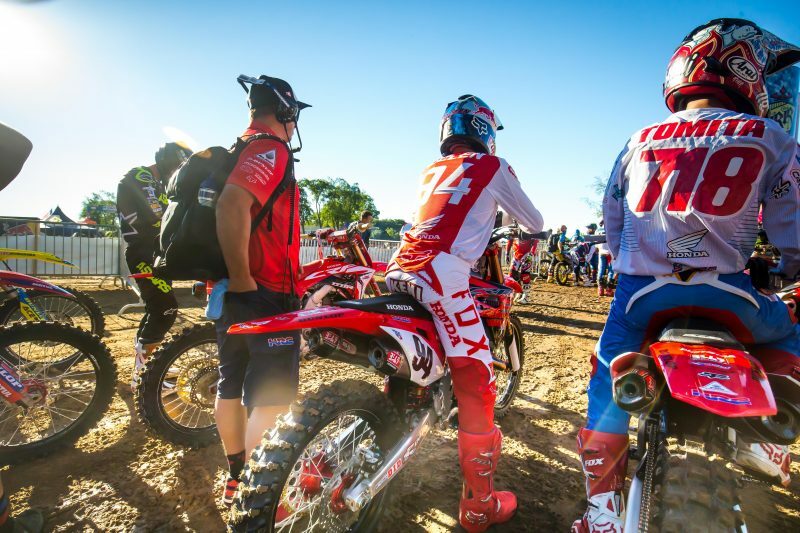 Sexton’s GEICO Honda teammates RJ Hampshire and Cameron McAdoo closed out the day ninth and 17th overall, respectively. Hampshire finished second in the first 250 Class moto and looked to be on his way to a podium finish at day’s end, but an ugly crash to start the second moto hampered those efforts. A pair of incidents left McAdoo deep on the scorecard in the final tally. The Lucas Oil Pro Motocross Championship will take a break before returning to action in two weeks with its annual visit to the Land of 10,000 Lakes and Spring Creek MX Park in Millville, Minn. The first motos from the La Crescent Wine & Spirit Spring Creek National can be seen live on MAVTV Sat., July 21 beginning at 2 p.m. Eastern Daylight Time, 11 a.m. Pacific. The second motos will air on a live-to-tape basis later that night on NBC Sports Network at 12 a.m. Eastern, 9 p.m. Pacific.